As always, it's pure delight to bring you new, family-friendly reading from my dear friend, Amanda Tero. 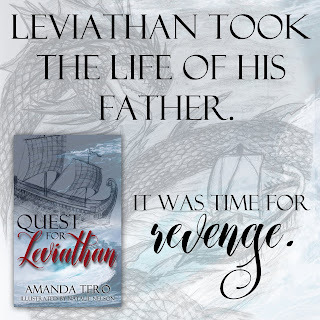 "Quest For Leviathan" is no exception. 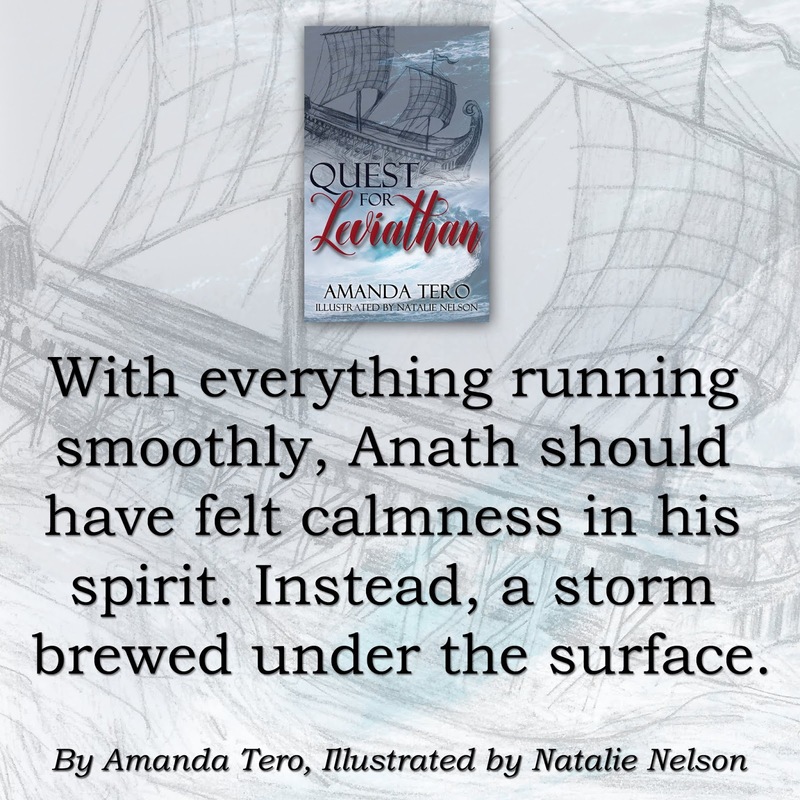 Set during the same era of the biblical Patriarchs, Anath is a young man consumed with anger over the death of his sea-faring father. Consumed with one goal he engineers, builds and equips a vessel worthy of attacking one of the most fearsome creatures in history - the leviathan. As I read "Quest For Leviathan", I was impressed with how Amanda used only biblical evidence in re-creating this fantastic sea monster. While there is nothing wrong with extra-biblical sources, Amanda's decision reminded me that the Bible has volumes to tell us, if we will only stop and listen. Amanda also did a masterful job weaving in scriptural truths that were consistent with the Bible, yet not directly quoted thus being realistic with the pre-scriptural era of the story. And the story! Gripping, fast-paced and handsomely written, Anath's tale is a short, yet powerful reading for children and adults alike. What do we do when God doesn't grant us our prayers? Why does He not prevent evil when He is all-powerful? What is to be our response when life leaves us bloodied and bruised? What will we do if our questions are never answered? While reading, I identified with the loss and questions Anath faced. While I've never been bereaved of a parent (thankfully) or battled a sea monster (another thanks there! ;)), the heart of the story rang true for all who have been at the turning point of trusting God's goodness over the evil we've experienced. 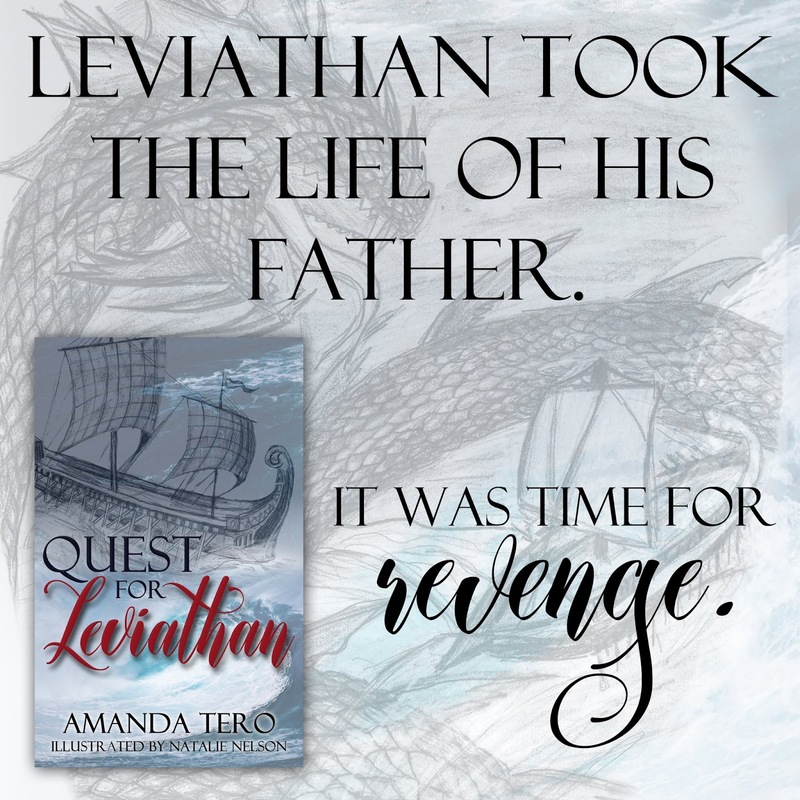 It's my great joy to highly recommend "Quest For Leviathan" as your next summer read! 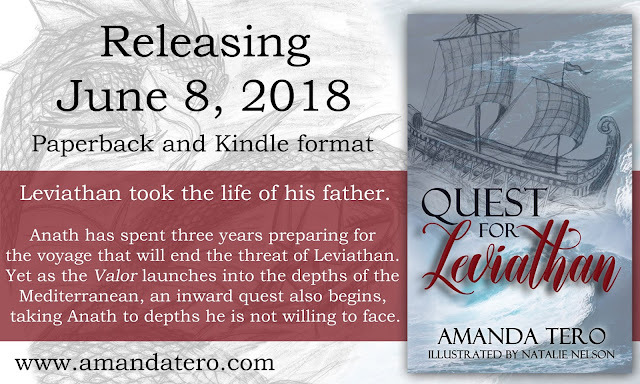 Amanda Tero began her love for words at a young age -- reading anything she could get her hands on, and penning short stories as young as age eight. Since graduation, she has honed her writing skills by dedicated practice and study of the writing craft. She began her journey of publication with a few short stories she had written for her sisters and continued to add to her collection with other short stories, novellas and novels. It is her utmost desire to write not only that which pleases her Lord and Savior, but also draws the reader into a deeper relationship with Jesus Christ. 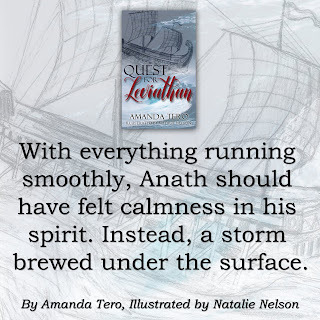 Check out this great list of blogs for more on "Quest For Leviathan"!